BorgWarner has introduced its next generation of cam torque actuators – intelligent cam torque actuation (iCTA) – delivering better fuel economy and reduced emissions with its innovative technology. 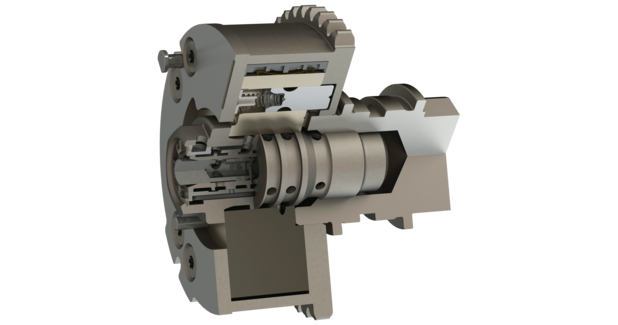 Leading the industry in the future of hydraulic cam phasing, iCTA blends the best attributes of cam torque actuation (CTA) and torsional assist (TA) phaser technologies. Technologies that make the airpath more efficient and tunable are key to meeting future emissions regulations, and iCTA is a key enabler. By combining the benefits of CTA and TA, iCTA provides fast cam phasing throughout the engine operating range, reducing emissions and improving fuel efficiency while maintaining optimal vehicle performance. iCTA allows the engine to be tuned for optimal opening and closing of the valves to maximise airflow when the engine needs it, and minimise it when it doesn’t. iCTA enables this across a variety of engine types and is especially effective when applied to inline four-cylinder (I4) engine applications with varying cam torque energy. By recirculating oil within the actuator, iCTA reduces oil demand and engine parasitic losses over competing I4 solutions, resulting in increased fuel economy, lower emissions and improved vehicle performance. As the cam shaft spins, it oscillates, due to cam torque. The iCTA captures this cam torque and uses its energy to augment the energy from the engine oil pump. The technology partners with front-mounted variable force solenoid controls and a centre-mounted spool valve contained within the bolt mounting the phaser to the camshaft. iCTA integrates all necessary features within the existing centrebolt architecture to allow interchangeability with an existing CTA or TA cam phaser. iCTA performs consistently across all engine speeds, has compact packaging and is a cost-effective solution to best manage airflow for a variety of driving conditions, from cold-starts to highway cruising. This technology is expected to first appear on a variety of vehicles from two major vehicle manufacturers in China and North America in 2019 and 2020.